For those of you on Stephen Colbert withdrawal, there’s a beacon of light ahead with the announcement from the Tribeca Film Festival that the long-time TV host will interview Star Wars creator George Lucas. The two are expected to discuss Lucas longstanding career as a filmmaker, which includes the classic franchises Star Wars and Indiana Jones. 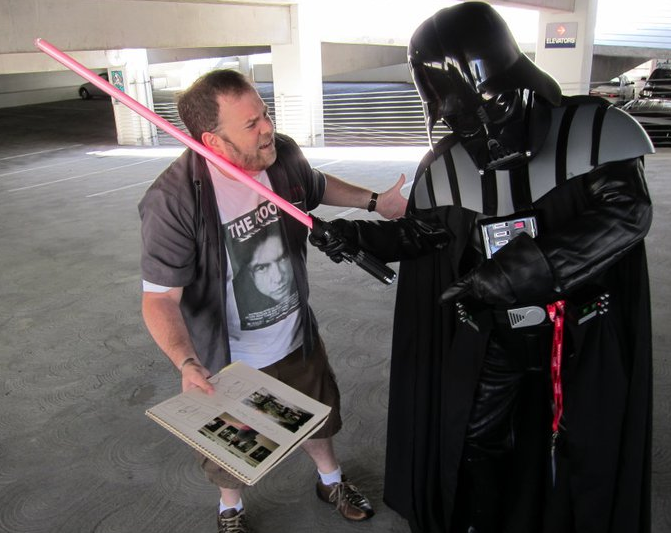 Fans also expect Lucas to unveil a bit about the upcoming films, which are being directed by J.J. Abrams, under Disney. Colbert hasn’t hidden his crush on Star Wars, having had an epic light saber duel with Comedy Central’s The Daily Show host, Jon Stewart. 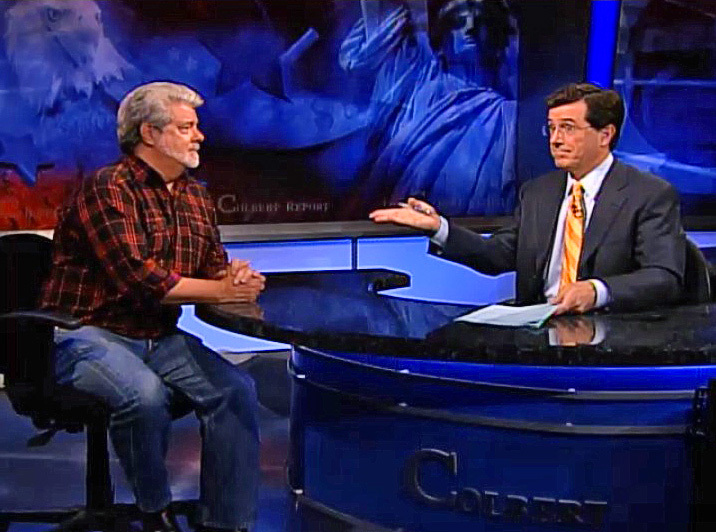 The force was strong for Colbert. While not everyone will be able to attend the exclusive interview this April in New York City, there is some solace in the fact that the brilliant comedy mind will be returning soon enough when he replaces David Letterman on the The Late Show this September. 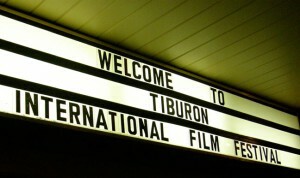 Tiburon International Film Festival is a platform for independent filmmakers from around the world, which certainly fits the mold of New York Film Academy’s student body. 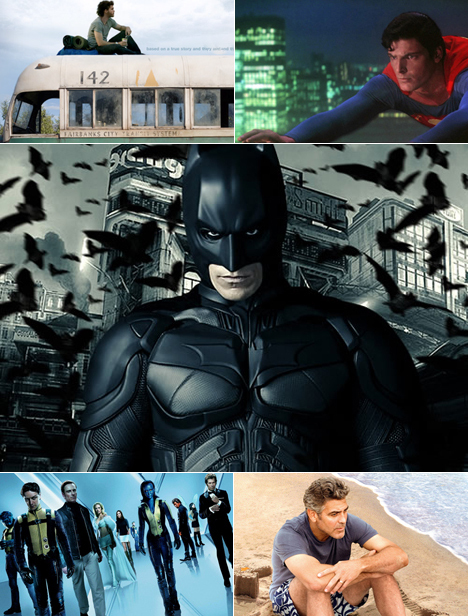 For students and alumni interested, the 13th Annual Tiburon International Film Festival (TIFF) will be held April 2014 in Tiburon, California and will showcase independent features and short films from around the world. Submissions are open to all genres: Fiction, documentary, short, animation, experimental, student, children, sports, music video…..from any nation in the world. TIFF has screened over 2000 independent films from more than 100 countries since its inception. The festival has also honored and hosted many great filmmakers such as: Oscar winning director and cinematographer Haskell Wexler [Medium Cool], George Lucas [Star Wars], Blake Edwards [Pink Panthers], Santiago Alvarez [Hanoi Martes 13], John Frankenheimer [Manchurian Candidate],George Stevens [Shane], Malcolm McDowell [A Clockwork Orange], Saul Zaentz [One Flew Over the Cuckoo’s Nest], Mark Rydell [On Golden Pond], Irving Saraf [The Sermons of Sister Jane], Robert Snyder [Pablo Casals: A Cry for Peace], Paul Mazursky [Down & Out in Beverly Hills], Bob Rafelson [Five Easy Pieces], Brad Bird [Toy Story], Luchino Visconti [Death in Venice], Hal Hickel [Pirates of the Caribbean] among many others. The films submitted to the Tiburon International Film Festival are eligible to win the “Golden Reel Award” in several categories: Best Fiction, Best Documentary, Best Director, Best Screenplay, Best Short, Best Animation, Best Children’s Film, Best Student Film, Best Music Video, Best Sport Film. The winners of all categories will be announced during a ceremony at the end of the Festival. Entry form and eligibility guidelines are available by clicking here and filling out the necessary information. The Early Bird Deadline on December 1, 2013 is fast approaching while the final deadline falls on January 15, 2014.